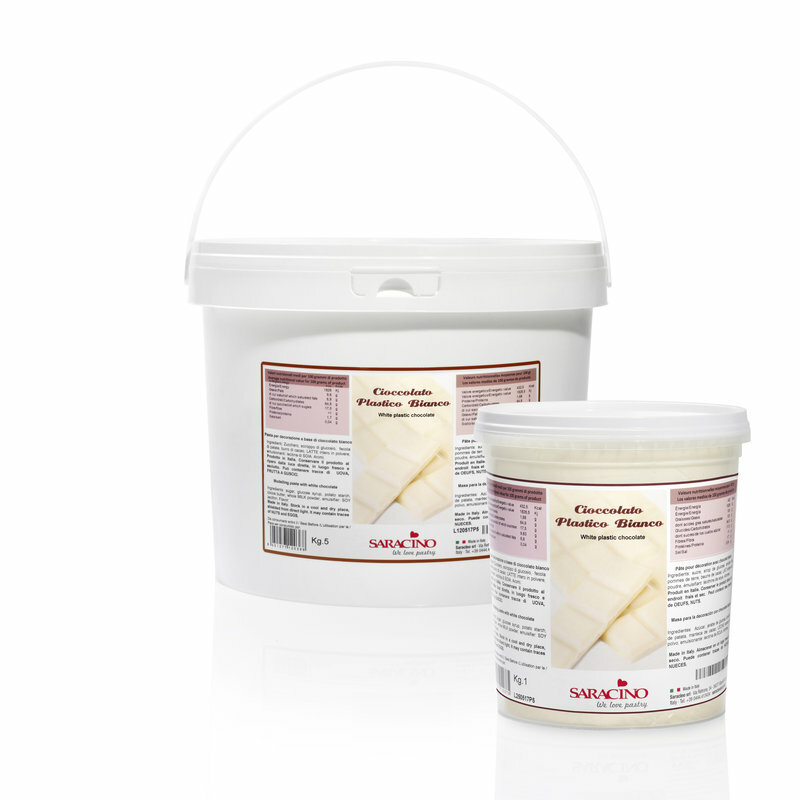 White chocolate modelling paste. 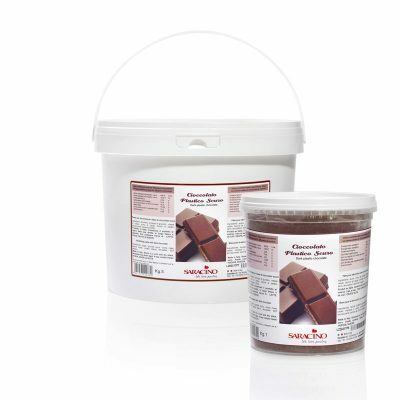 Product in paste form (variable with temperature). Colour and taste typical of dark chocolate. Perfect for cake decorating and modelling design pieces..
Before use work the product in order to obtain a soft elastic pliable consistency. Ingredients: White chocolate 32% (sugar whole milk powder, cocoa butter, emulsifier: soy lecithin, flavor), sugar, glucose syrup, potato starch, flavor. Allergens: Contains soy and milk. May contain traces of nuts and eggs.